The Central Applications Office (CAO) online application facility opens on Monday, 6th November from noon. The College of Arts and Humanities offers the widest range of Arts and Humanities programmes available in Ireland. It is a vibrant and dynamic environment where creative, critical and analytical thinking are developed and promoted. Our world class teachers and researchers attract students from more than 120 countries around the world. Talk to UCD Arts and Humanities Academic staff about the range of subjects and courses available to you. "Why Study Arts and Humanities and What will I study?" The talk will be hosted by College Principal Professor Sarah Prescott and Associate Dean, Fionnuala Dillane. They will introduce you to the world of Arts and Humanities at UCD and to the unrivalled subject choice we offer. The social, cultural and economic value of Arts and Humanities degrees will be explained and they will outline the range of career options open to our graduates. DN520 BA Arts (Two Subjects) Joint Honours. We're very excited to launch our first CAO Open Day taking place on November 17th from 10am to 2pm. There will be a careers meeting for 6th year students on Wednesday 25th at 12-30 in F4. Bachelor of Fine Arts in Musical Theatre – This is the only degree in musical theatre in Ireland at present. BSc Social Sciences – DN700 Social Sciences students explore society and how people behave as individuals and in groups. With the four-year Social Sciences degree, you choose DN700 at CAO and then select your preferred option below. . Your subject choices are guaranteed. There are options to change subject choices at the end of first year if you wish. You will gain a deep understanding of each subject you choose to study and develop real-world skills in research, communication and leadership. You may additionally apply for an internship, or study abroad for a year or a semester. You will learn to analyse, criticise and challenge beliefs and assumptions – including your own. AHEAD launch disability access map. what kind of learner are you? UCD will be hosting its annual Open Day for prospective students on Saturday, 4 November 2017 from 10.00am to 4.00pm. The 2017 Open Day booklet, which contains the talks programme, the layout of the Central Exhibition area and day planner, will be available shortly to download at www.ucdopenday.ie. Hard copies of this booklet will also be available for students on the day. UCD History and Health is a new team competition for Transition Year students for the 2017-18 academic year. Each student is welcome to bring guests. Places are limited and each year this event books out so please book early. Join us for our Taster Days and find out what it's really like to study at IADT. Take part in our hands-on workshops to learn more about the perfect course for you. Recruitment for the CodePlus programme is organised at a school level. Groups of students from a network of schools take part each week. If individual students want to take part in computing workshops with Bridge21, we have a Computer Science for Transition Year programme that might be of interest. UCD Innovation Academy are hosting the first UCD Innovation Summer Camp on campus at University College Dublin in the O' Brien Centre for Science from 26th-30th June 2017. This week-long camp is open to current senior cycle secondary school students and to those who are entering senior cycle. The summer camp will have a strong emphasis on learning by doing. Participants will learn about and experience creative problem solving approaches such as Design Thinking; actively engage in a series of individual and group learning challenges and hackathons and use new technology including Virtual Reality and 3D Printing to support the learning process. For further information and to book a place please see www.innovators.ie/summer-camp/. What will it take for the engineers of the future to meet society’s challenges? Prominent engineering organizations and leader panels have weighed in. open to TY, 5th and 6th year students, parents, teachers. Friday 17th & Saturday 18th Novmeber. This event takes place from 5.00pm to 8.00pm on Tuesday 24 October 2017 in the UCD O'Brien Centre for Science. The evening will cover degrees in DN200 Science, DN230 Actuarial & Financial Studies and DN201 Computer Science. 10am - 4pm Saturday 4th November 2017. This year’s Better Options college fair for students with disabilities and specific learning difficulties will take place in the Auditorium, Block A, DCU St Patrick’s Campus on Nov 22nd 2017 (10:00-13:00). This is an ideal fair for students looking to find out about courses and support services provided by colleges as well as garner key information on the access routes for those with disabilities, including how to make an application to DARE – Disability Access Route to Education. Free event, no registration required. 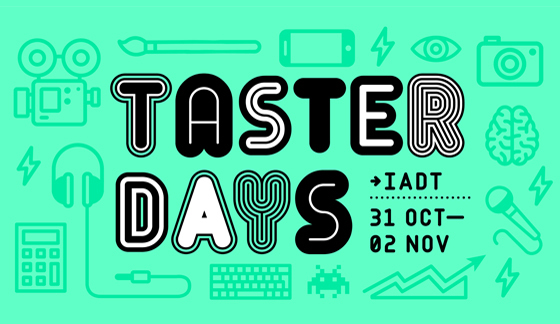 Join us for our Taster Days and find out what it’s really like to study at IADT. Take part in our workshops to learn more about the perfect course for you. Our next taster days take place during October/November mid-term break. A timetable of activities and workshops will be posted on our website in early October. dlr Lexicon: animation 1: kids do code. Trinity college accepting applications to participate in a structured TY course in botany. Welcome to the CBC Guidance and Counselling page and blog. Here, you and your parents will find information on all things careers and college. The page will be updated regularly with any news and events pertinent to your school and college choices. There are also useful links to support you in your studies and looking after yourself. View the full CBC Monkstown Park website, www.cbcmonkstown.ie . Simple theme. Theme images by luoman. Powered by Blogger.